Suitable for continuous operation, the compact high-temperature sensors are designed for a wide range of ambient temperatures from -25 °C to +160 °C. The sensors are equipped with a robust housing made of 1.4571 grade stainless steel and PEEK. They are available in different versions as required – the line-up e.g. includes IP68/69K-protected types that are waterproof and easily withstand high pressure cleaners. 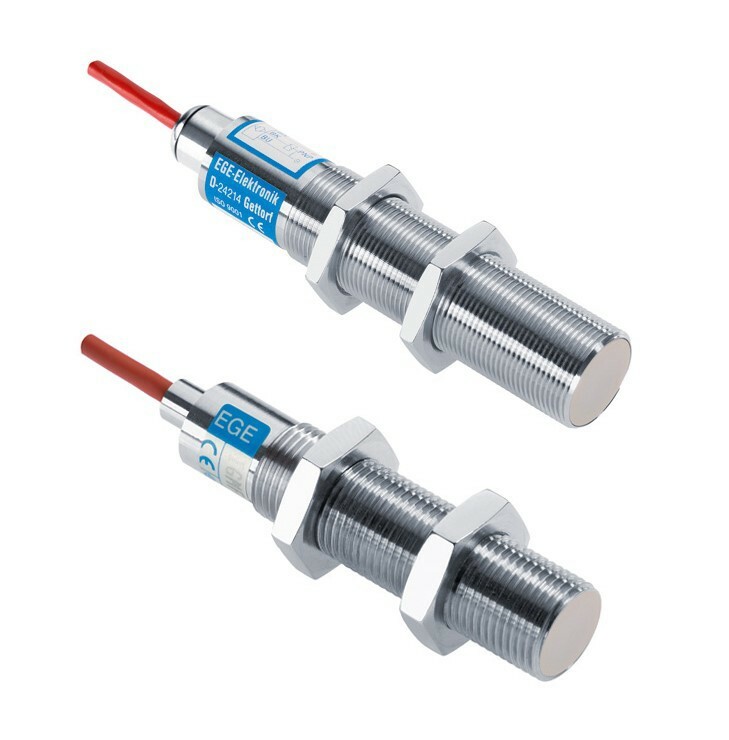 IGMH series sensors can also come in boil-and-steam-resistant versions with silicone cable connections – optionally available with additional FDA-certification for use in the food industry – or in special versions for applications where oily media, such as rolling oil, are present. Depending on the specific type, the sensors are connected either via FEP or silicone cables. The devices provide nominal switching distances from 2 mm to 15 mm and are available in M15, M18 and M30 sizes. Thanks to their integrated electronics, they do not require a separate processing unit. In addition, EGE offers to develop and implement custom, application-specific sensor solutions with minimal lead times.